The Crest - a new condominium along Prince Charles Crescent - has garnered options for about 30 units at a preview during last weekend. The project is developed by a consortium led by Wing Tai. Only one tower has been released, comprising around 130 units. The average price for the 99-year leasehold project in District 10 is believed to be around $1,750 - 1,800psf. However, this is before the reimbursement of up to7% for ABSD, which will be made upon buyers showing proof of the ABSD payment. 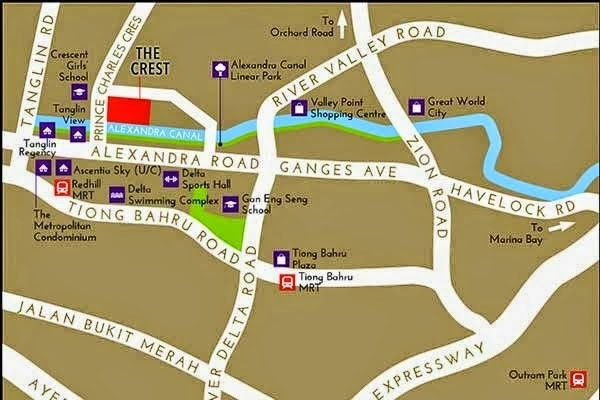 The Crest is located near Jervois Road and the Chatsworth Park Good Class Bungalow Area. 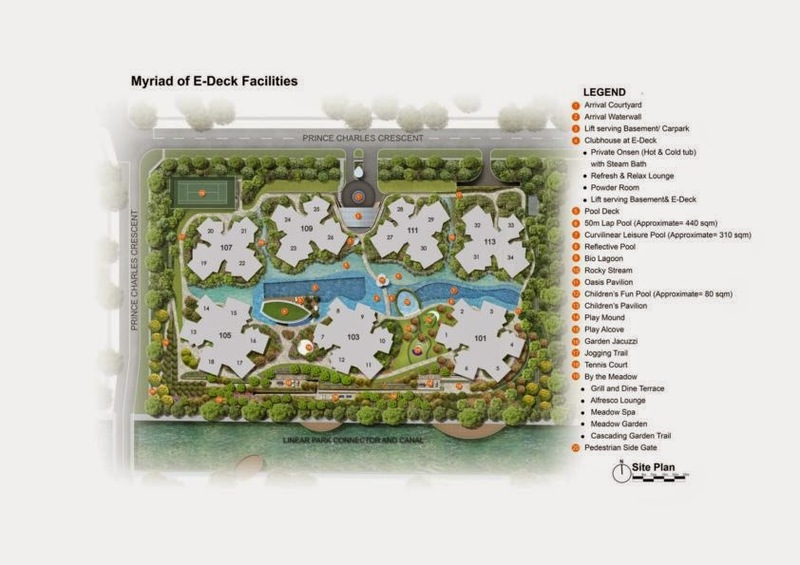 It comprises 469 units offering one- to five-bedroom configurations. Developed signed by Japanese architect Toyo Ito, the project consists of three 23-storey tower blocks and four low-rise blocks (each of five storeys high). It is situated about 450 metres from Redhill MRT station. Units at The Crest is supposedly at least 15 - 20% larger than the current market norm. One bedrooms average around 650sqft, while the two bedrooms are around 800 - 900sqft. These compared to 440 – 540sqft (1-bedder) and 580 - 700sqft (two-bedders) in most other projects. The sales results of The Crest contrasts sharply with that of Commonwealth Towers - a 99-year project next to Queenstown MRT Station - which sold 175 units on its first day of sales on May 1. The lacklustre sale follows in the wake of Trilive, a 220- unit freehold condo project by Roxy-Pacific Holdings in the Kovan area - which sold only about 30 of the 80 units since sales began last Friday, at an average price of $1,550psf (after early-bird discounts). Some market watchers have attributed the difference in sales performance between The Crest and Commonwealth Towers to the bigger lump sum quantum of the former due to its units being larger. And others can even claimed that potential buyers may be distracted by the World Cup. But the wife and I cannot help but wonder if the slow sales at recent launches is just another sign of the “new normal” in the current stuttering market. Another point worth noting is that the site in which The Crest resides was bought at $960.28psf ppr in September 2012. However, a site next door to it was sold at $820.65psf ppr to UOL-Kheng Leong in April this year. So how the later prices their upcoming development will have a direct impact on pricing at The Crest. Maybe Wing Tai will need to do a “Panorama” to move more units..? 1 comment to ''Slower than expected take-up @The Crest"
Wingtai is launching this project half hearted, I asked for interior photographs to spice up my overseas buyer and they have none , instead all are messy renderings. Can't believe they treated this Toyo Ito piece like salted fish , unlike the previous Belle Vue where nice show unit pictures were provided.